The application deadline is approaching for this opportunity! Highlights this week: paint priming and elevator installation! The Libraries are Hiring Liaisons! Looking for a job for Fall 2019? Apply to be a Library Liaison! Connections is the newsletter of the Haverford College Libraries. 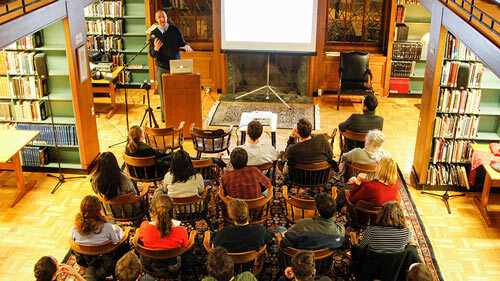 This series presents lectures by alumni who have chosen careers in academia and are in the final stages of writing their dissertation, are doing post-doctoral work, or are in their first few years of academic employment.